The Droll Yankees Happy Eight 2 has arguable perfected the art of hummingbird feeders with this one-qt. capacity feeder. 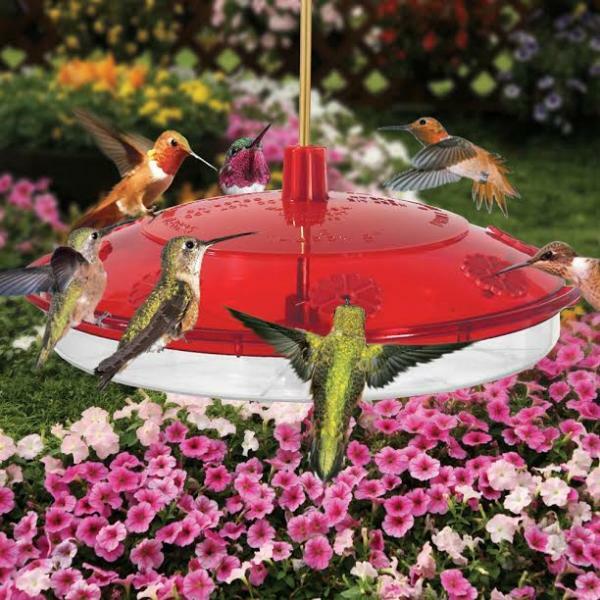 Taking all the best aspects of hummingbird feeders on the market today, the Happy Eight 2 combines them into one total package, featuring a brass hanging rod, snap-fit design for easy cleaning and filling, an included bottle brush, a nectar guard, a circular perch ring, as well as a generous array of eight feeding ports! With the addition of UV-stabilized plastic, leak-proof design, and a nectar recipe embossed directly on the lid, the Happy Eight 2 is truly everything you need to achieve hummingbird nirvana! My niece gave me my first Happy Eight for a Christmas gift. Everyday, someone comes by and sees my hummingbirds and they want to take my feeder. I buy them three at a time and never seem to have a new one for myself. They make such a wonderful gift. Maybe this time one for me. 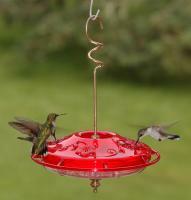 I have enjoyed hummingbirds for over twenty years and this is the BEST feeder EVER. 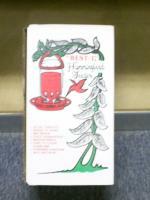 This is the forth 8 hummingbird feeder I have purchased from Droll Yankee. Our bird population increase this year (over 20) made it necessary to provide more stations. Just before dark at the last feeding I have seen all 8 positions busy. Wonderful sight. 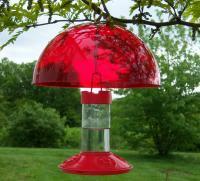 I have used this style bird feeder many times.I definitely prefer it to the other types. 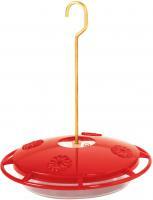 It is easy to clean and you can never forget the formula for the food as it is on the top of the feeder. This is a good product, good service and I am very pleased! This hummingbird feeder is beautiful! It is just the right size and easy to fill. We have Anna hummers, all year long, along with other types. The gorgeous red flowers on the feeder, got their attention. After trying a number of different types, I wish I would have spent the other money on this one. I am going to replace the inferior ones with more of the Happy Eight; superior in every way! This is an excellent product, easy to clean and monitor nectar level. 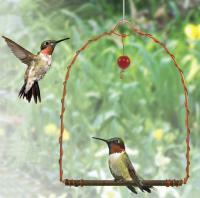 I have a hummingibrd butterfly garden which attracts very large numbers of birds. 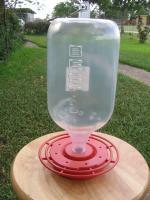 The large capacity of this feeder is helpful in maintaining a garden that uses 2+gallons of nectar a day in the summer. It did take a while for the birds to be attracted to it as opposed to the more widely used four port models. Hummers really used this. The volume of a quart is good for heavy use. Good view of Hummers on feeder. I have had a problem in getting the clear top that holds the feeder ports off to give a good cleaning.Trying to get it off and not break the perch that circles the top piece.I may get better at it with more use. This is a good product. 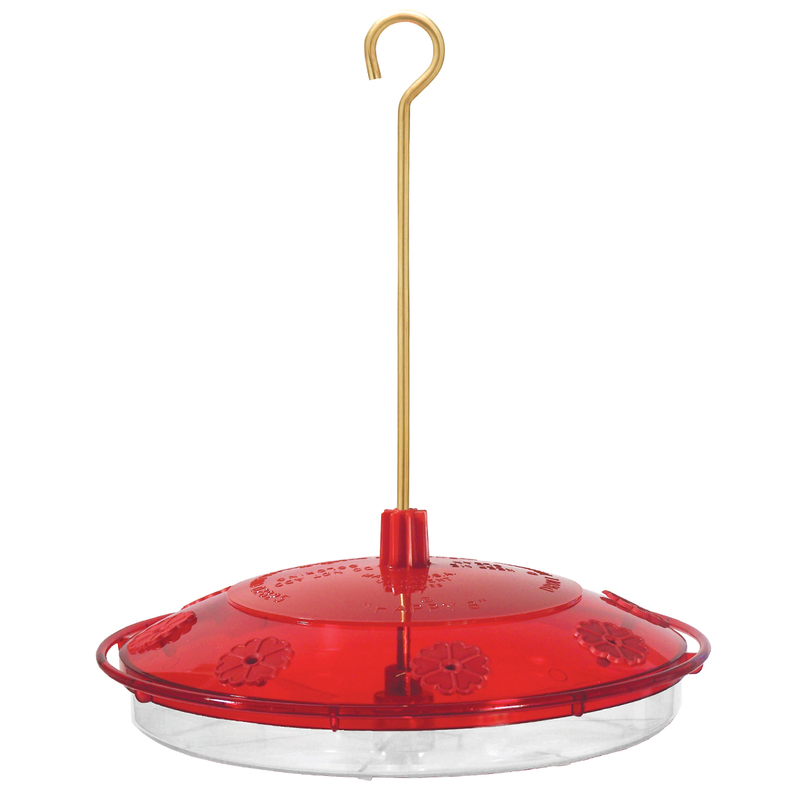 It's well-constructed and much easier to clean than any other feeder I've seen. This is a very nice feeder. My only complaint is that there is no ant moat.